Our G.H.E.T.T.O. GALLERY EXHIBITION is dedicated to the memory of the late great Beauty Turner, A National Award winning writer and photo journalist, an activist and fighter for the people. Beauty established Beauty's Ghetto Bus Tour and took you behind the walls of public housing and showed participants the CHA plan for transformation at work, transforming communities and lives. Beauty Turner received international fame with her "Ghetto Bus tours"
Greatest History Ever Told To Our People Bus Tours. As students of the late great Beauty Turner we continue the tradition of telling our story and giving a voice to the voiceless. We offer the G.H.E.T.T.O. Gallery Exhibition of art and artifacts and information in the examination of Gentrification Chicago style, Dislocation and community transformation in less than a generation. We also offer a tour based on the original tour established by Beauty Turner. Our G.H.E.T.T.O. Tour takes you down memory lane as we examine first hand the community transformation through gentrification. We visit the sites of the old "project" buildings and see the ghost a failed project where "people have been replaced by property". 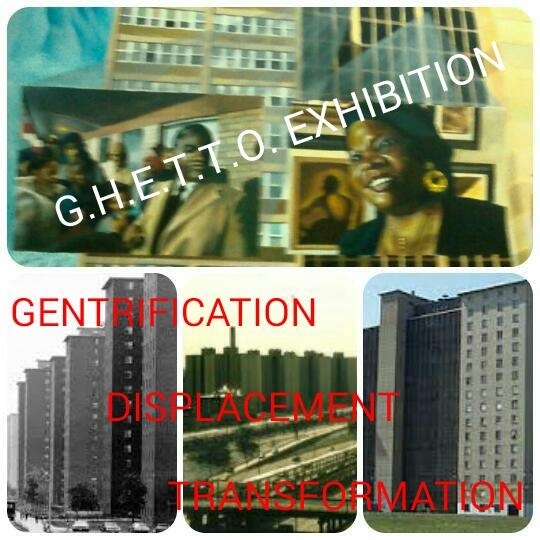 At the end of the tour you will visit Ghetto Gallery Exhibition which holds a unique display of photos, memories and artifacts, as well as souvenirs and keepsakes.